What is the relationship between Patten Seed and Super-Sod? Super-Sod is a subsidiary of Patten Seed. Is it better to use seed or sod? It depends on many factors including conditions, time of year, etc. If you need an immediate solution due to aesthetics or erosion control then sod is a better solution. Depending on the grass you have selected, sod may be the only solution. Seed, if available for the grass variety you have chosen, is always less expensive (exclusive of site preparation costs), but it takes more time to grow a mature, established lawn. Are there any job openings with Patten Seed? How do I contact someone at Patten Seed or Super-Sod? You may contact the Super-Sod stores and farms using the listings on the Store Locator page. How do I get pricing on Patten Seed Grass Seed? All Super-Sod Stores sell Patten Seed grass seed products based on availability. In addition there are numerous local retail stores marketing Patten Seed products (some under other labels). To find a retail store nearest you please call Patten Seed at 1-800-634-1672. Patten Seed Company Zenith® Zoysia Seed and TifBlair® Certified Centipede Seed are now available for purchase online via our online Grass Seed Store. Where can I find Patten Seed Grass Seed? At all Super-Sod Stores or any of over 3000 other retail stores in the U.S. To find a retail store nearest you please call Patten Seed at 1-800-634-1672. Patten Seed Company Zenith® Zoysia Seed and TifBlair® Certified Centipede Seed are now available for purchase online via our online store. How do I get a quote on Super-Sod Sod? You may contact your local Super-Sod Store or, better yet, simply fill out our Request for Free Quote online and we'll get back with you within 24 hours. Where is the Super-Sod Store nearest me? 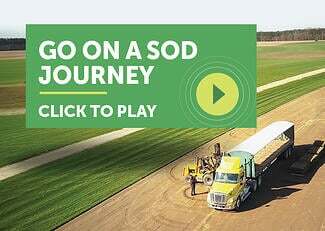 Follow this link to the Super-Sod Store nearest you. *Don't worry, we'll remove the tools before placing the pallets. Lay sod the same day you receive it. It's very important to practice smart post-harvest care and store your pallets of sod in the shade, keep them moist, and lay them the same day you receive them. Prepare wisely the day before your sod is delivered so that you know where to have it unloaded (under shade) and near a garden hose. Have a plan of action for laying all the sod the same day. Why shade is important: Damaging heat (up to 180 degrees) will build up in the center of the pallet of sod and literally cook it if left in full sun. Take care of your investment by keeping it in the shade until you use it - even though you're going to lay it the same day! How much Sod do I need for my lawn? Use our Yard Area Calculator to calculate the dimensions of your yard area(s) to be sodded. What Grass Seed Varieties are available from Patten Seed? Patten Seed only markets seed we produce - Zenith® Zoysia, TifBlair® Certified Centipede, and Elite Tall Fescue seed. What Grass Seed Variety would be best for my area? Our Turfgrass Selector is a program that helps you choose a grass that fits your application. The Turfgrass Performance Ratings in The Encyclopedia of Lawn Grasses by W.A. Roquemore provides even more information to compare grass characteristics. Can Patten Seed products be hydroseeded? Any Patten Seed Company seed products can be hydroseeded. However, we don't recommend hydroseeding Zenith Zoysia. It can be done, but only at extremely low mulch rates. Zenith Zoysia requires light to germinate and if it's covered with a heavy layer of soil or mulch it will not germinate. What methods does Patten Seed recommend for seeding? See our establishment instructions for methods and equipment to sow Zenith® Zoysia seed or TifBlair® Certified Centipede seed. Can Zenith® Zoysia seed be used to overseed holes in Zoysia Sod? Yes - but follow instructions on the packaging. Can Zenith® Zoysia seed be overseeded with other Zoysia Varieties? Can I overseed an existing lawn to convert to Zenith® Zoysia or TifBlair® certified centipede seed? Yes. Refer to the seed instructions for establishing an existing lawns for Zenith® Zoysia or TifBlair® Certified Centipede seed. Can I sow a mixture Tifblair® certified Centipede Seed and other grass seeds? This is not recommended because of competition from the other seed will slow centipede establishment and cover. Can Tifblair® Certified Centipede or Zenith® Zoysia be used to overseed St. Augustine? Yes, with proper preparation and by following instructions for Zenith® Zoysia or TifBlair® Certified Centipede seed. Is Zenith Zoysia the same as Zen Zoysia? No - Zenith is a true hybrid zoysia. Does Patten Seed provide samples of grass seed? Samples are provided to turf research institutions and others on an as needed basis. What guarantees are provided with TifBlair® Certified Centipede seed and Zenith® Zoysia seed? TifBlair® Certified Centipede Seed and Zenith® Zoysia are provided in the bag with the appropriate name - no guarantee is made as to establishment and/or performance because each site and manager differs. How can I compare grass varieties for my application or area? Our Turfgrass Selector is a program that helps you choose a grass that fits your application. The Turfgrass Performance Ratings in The Encyclopedia of Lawn Grasses by W.A. Roquemore provides even more information to compare grass characteristics. We have sod demonstration gardens displaying each of our grasses at every Super-Sod Store. How can I best establish a new lawn or fix a spotty lawn in the heat of summer? Refer to the seed instructions for establishing new and existing lawns for Zenith® Zoysia or TifBlair® Certified Centipede seed. For sod installations please discuss this with your installer or refer to The Encyclopedia of Lawn Grasses by W.A. Roquemore sections on Establishing a New Lawn, Converting Old Lawns and Maintaining Established Lawns. What grasses are best for shade? Generally Zoysia, Fescue and St. Augustine are best, but see the Turfgrass Comparison Chart and the Turfgrass Performance Chart for specifics. What grasses are best for full sun? Bermuda, Zoysia, Centipede and St. Augustine are best in sun, but see the Turfgrass Comparison Chart and the Turfgrass Performance Chart for specifics. What grasses are best for a mix of sun and shade? If shade is too heavy no turf will grow. Most of the Patten Seed and Super-Sod selections on this site will perform reasonably well in both sun and light shade. Please refer to the Turfgrass Comparison Chart. What grasses will tolerate moisture? The Turfgrass Comparison Chart will show you. What grasses will best survive a drought? Zoysia, Bermuda and Centipede survive best given adequate and proper maintenance. Will Bermuda Grass overtake Fescue in full sun? Which grasses go dormant and turn brown? All warm season grasses in areas where winters are cold - Zoysia, Bermuda, Centipede. What grass sod varieties are available from Super-Sod®? Our sod grass varieties are listed on the Super-Sod® Sod Grass Overview page. Your location will determine the answer to this question see The Encyclopedia of Lawn Grasses sections on new and established lawns. Can sod be installed when dormant or brown? Yes! See the Installing Dormant Sod page for details. Species that may be installed when dormant include Zoysia, Bermuda, and Centipede. Is it better to get sod in rolls or square cut slabs? Our Super-Sod dealers should be able to provide you with a list of qualified installers. You can find the nearest Super-Sod dealer on the Locations page. What guarantees are provided with sod? Sod is guaranteed to be in sound, live condition upon delivery to the customer or carrier. We warrant that certified turfgrasses were grown under the supervision and auspices of the Georgia Crop Improvement Association; therefore we make no additional warranty as to varietal purity. We do not guarantee suitability, survival or performance, and make no other further warranties, express or implied. Where is the nearest Super-Sod Location? You can find them all listed on our Locations page. Where can I buy Centi-Seed® or Zenith® Zoysia Seed? Visit our online store, stop by your local Super-Sod store, or contact Patten Seed at 800.634.1672. How can I become a distributor of Patten Seed or Super-Sod products? Commercial nurseries may contact our offices at 800-634-1672. How can I get Patten Seed products outside of the United States? Patten Seed has an exporting division to answer these questions: 1 229 482-3131 or 1 800 634-1672. How can I become a distributor of Patten Seed products? Commercial nurseries may contact our offices at 1 229 482-3131 or 1 800 634-1672. What is the germination time for Zenith Zoysia Seed? Seed will germinate in ideal conditions in 14 to 28 days. Is it better to use a drop spreader or a broadcast spreader? Either will suffice if soil preparation is adequate. Refer to the instructions that came with your seed package or the information on this web site for TifBlair® Certified Centipede Seed or Zenith® Zoysia. What spreader setting should I use for Zenith Zoysia Seed? Depends on the unit, but usually the lowest setting due to the small size of the seed. We recommend you contact the manufacturer of the spreader and they'll give a setting for Zoysia seed. What spreader setting should I use for TifBlair Certified Centipede Seed? Depends on the unit, but usually the lowest setting due to the small size of the seed. We recommend you contact the manufacturer of the spreader and they'll give a setting for Centipede seed. Do I need to add sand to my spreader with TifBlair Certified Centipede Seed? When is the best time of year to overseed? For warm-season grasses (Zenith Zoysia and TifBlair Centipede), the best time is after the last frost in the spring. Continue seeding through summer up until 60 days before first frost is expected. For cool-season grasses (Elite Tall Fescue), the best time is September through October. When is the best time of year to seed a new lawn? If the season is not right for seeding with Zenith Zoysia or TifBlair Certified Centipede Seed, what else should I use in the meantime? To avoid erosion during winter months use a temporary rye grass cover. How do I get rid of crabgrass in a centipede grass lawn? Use recommended feed and weed fertilizers that list centipede as a grass to be treated with the particular product. How should I fertilize Zenith Zoysia? Follow instructions as listed in How to Establish a Zenith® Lawn that came in your seed package. How should I fertilize Tifblair Certified Centipede Seed? Follow instructions as listed in How to Establish a Centipede Lawn that came in your seed package. Is it necessary to kill all the existing grass before seeding with TifBlair Certified Centipede or Zenith Zoysia Seed? This is preferred with both selections. How long before I can tell the seed is growing? Seed should germinate within 14 to 28 days. TifBlair® Certified Centipede and Zenith Zoysia seedlings are very small to start. You may need to look closely to see them at first. How fast does TifBlair Certified Centipede Seed Spread? TifBlair® Certified Centipede Seed will usually cover an over seeded lawn within 2 growing seasons or sooner. Sod harvested with the new Trebro Autostack II harvesters do not have interlocking sod rolls and so unstacking to prevent tearing is not an issue. However we still have harvesters that stack pallets with interlocking rolls, so please watch this video and learn how to unstack such a pallet to prevent rolls from tearing as you unstack your pallet. How should I water my newly sodded yard? Read all about How and When to Water Your Lawn. How should I fertilize my newly sodded yard? Fertilizer timing and rates for each type of grass that we sell can be found in our Lawn Maintenance Guides. How long should I wait to mow a lawn after seeding or sodding? Seed: When mowing seeded areas, mow as soon as grass or weeds reach cutting height and keep whatever is growing mowed until turf is dominant. Look up the cutting height of your lawn in our Lawn Maintenance Guides. Sod: Begin mowing as soon as your sod has rooted to the extent that mowing does not displace it. It is important that mowing not be delayed too long. Cut high the first time, but gradually and deliberately lower the cut-height. For seeded and sodded lawns, never mow more than 1/3 of the leaf when mowing. What is the best mowing schedule during a drought? Mow a little taller and less frequently. Do you have any tips for better mowing? 1. Mow your lawn regularly. Don't let your grass get so tall that it's hard to push the mower through it. If the grass gets too tall, you can end up scalping it (especially Bermuda), because the growing point gets higher along with the taller grass and when you finally come along with your mower, you're mowing that growing point clean off, scalping it. 2. Rule of thumb: never mow off more than 1/3 of the leaf blade. 3. Are your mower blades sharp? Your lawn will be prettier if you use sharp blades that make a clean cut, not a ragged edge. What is the best way to get rid of weeds in my new sod lawn? Identify the weed in question and either mow out, spot spray or treat with an approved pesticide. How is the best way to remove Bermuda Grass from Zoysia Sod Lawn? Keep fertility low (less than 2 pounds of Nitrogen per year per 1000 sq ft) and mow regularly. How much fertilizer does centipede grass need? When is the best time to apply fertilizer? The best time to fertilize warm-season grasses is in the spring, after full green-up, and again in early summer. Avoid fertilizing warm-season lawns in the fall. The best time to fertilize Fescue (a cool-season grass) is in the spring and again in the fall. Avoid fertilizing Fescue in the summer. For detailed fertilizer charts, look up your grass type in our Lawn Maintenance Guides. What do I do about weeds in Zenith Zoysia? Mow and follow cultural instructions and weeds should become less of a problem in this tight growing grass. What do I do if my centipede lawn looks like it has "ringworms"? Seek professional advice from you county extension agent or local nursery or landscape professional. How can I deal with ants and fire ants in my sodded yard? Contact your local nursery or county agent for local recommendations. How do I know if I have fall armyworms?